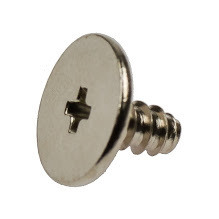 Big Head Screws for RAPIRO 3mm (Silver) 2pcs. Listed on Parts List as "30. Big head screws 3mm (Silver) 2pcs".